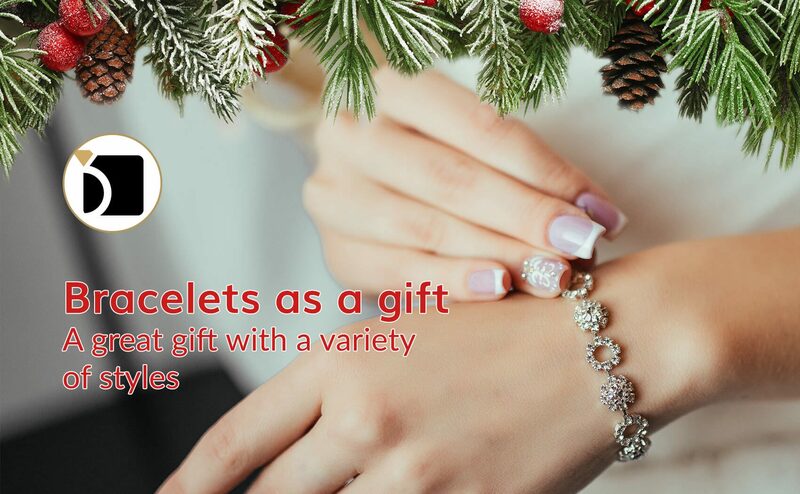 Bracelets are a great gift, especially since the average 7 inch bracelet fits most wrists, you don’t need to worry about the size, and there are so many different styles of bracelets available. Bracelets get a tremendous amount of wear and tear since they are worn on the wrist, so it is important to know how to properly care for your bracelet in order to enjoy your bracelet for many years. Routine care and maintenance will be needed. Clasp repair is one of the most common repair services needed. If you wear your bracelet on a regular basis, you are opening and closing the clasp at least twice a day. Depending on the type of clasp, it may need to be adjusted, repaired, or even replaced periodically. Besides the routine care and maintenance needed for your clasp, here are other services that may be needed to keep your bracelets on your wrist and not in the bottom of your jewelry box. • Tennis Bracelets – Also called line bracelets are a single row of stones usually set in a prong setting. Common repair work needed is stone replacement and repairing a broken or worn prongs. • Bangle Bracelets – Are commonly found in karat gold and sterling silver, and these bracelets are typically hollow, so be careful not to dent them, dents cannot be repaired on a hollow bracelet. • Link Style Bracelets – Including charm bracelets, identification bracelets (ID bracelets) and medical alert bracelets are usually quite sturdy, however they do need a good clean and polish on a regular basis to keep them looking their best. • Beaded Bracelets – Do need to be restrung periodically, the stringing material can stretch or wear thin over time so it is best to restring them before it breaks. • Bolo Bracelets – These have become very popular recently and this style is great for all size wrists since it can be easily adjusted to be a little smaller or larger. Most bracelets can be shortened if needed, this includes tennis bracelets, link style bracelets, and beaded bracelets. MyJewelryRepair.com can provide all your bracelet care and maintenance services. Remember, not all jewelry requires repair, but all jewelry requires routine care and maintenance.